From 4-9 December 2018, we are opening our doors for free to National Lottery players. 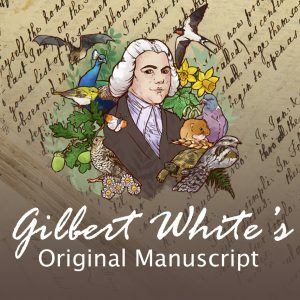 Gilbert White & The Oates Collections will be throwing open its doors for free to National Lottery players during the week of 4-9 December 2018. They are one of hundreds of participating National Lottery-funded visitor attractions across the UK saying ‘thanks’ to people who have raised money for good causes by buying a lottery ticket. The idea is simple: any visitor who presents a National Lottery ticket or scratchcard at reception from the 4th December till the 9th of December gets free admission to the house and gardens in return. This is to say thank you for the £1.6 million we received from the Heritage Lottery Fund, that has gone towards this year’s huge renovation project. Kimberley James from Gilbert White’s said: “Thanks to National Lottery players we’ve been able to completely renovate this imporant historical site, making it more sustainable for the future. This year we have converted Gilbert White’s stables into a faboulous new cafe, added new interpretation and reworked our galleries, we have added a new temporary exhibition space, a new shop and a new visitor entrance. We’ve come so far this year, this feels like a very appropriate way to thank those who made it possible’. Please note that the offer is only valid from the Tuesday 4th – Sunday 9th December 10:30-4:30. 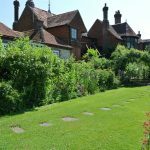 By showing a National Lottery ticket or scratch card you will have free entry for up to two people, to the whole site including the museum, cafe and gardens.